We're accepting applications from promising new farmers! The ISLAND Farmer Residency Program has extended its application due date and will accept applications until we have filled our position. ISLAND's Farmer Residency Program provides land and a supportive environment for aspiring farmers to become part of the growing local food movement in northwest Michigan. ISLAND's residency program is new and growing. This first cohort of residents will have the opportunity to influence the development of infrastructure and program support. 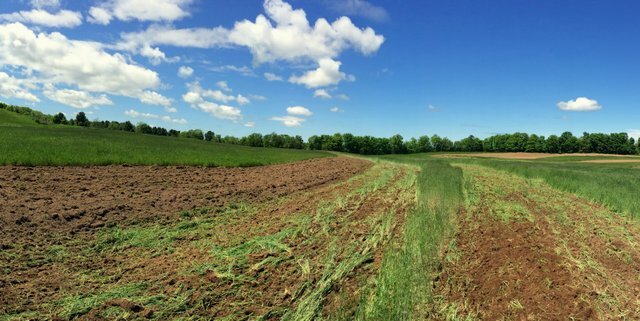 Resident farmers are provided with three years access to land, equipment and a network of technical and business advisors to launch their farm business at the Grand Traverse Regional Land Conservancy's Maple Bay Farm, just south of Elk Rapids, Michigan. This is not a farmer training program, but learning opportunities abound in the region, and we will help residents develop their personalized professional development plan. And we will begin reaching out through our networks immediately to help residents find their long-term farm site when they leave Maple Bay Farm. The program site in picturesque Northwest Lower Michigan has ready access to thriving markets in Traverse City, Petoskey and the Leelanau Peninsula, and forces are in motion to grow the local food economy of the region. Join the likes of Mario Batali in a food region described as 'exploding'. To apply to the program, go the ISLAND Farmer Residency Program website. For more information or to explore possibilities, contact Larry Dyer at larry@artmeetsearth.org. Copyright © 2014 Institute for Sustainable Living, Art & Natural Design (ISLAND), All rights reserved. You are receiving this email because you signed up at www.ARTmeetsEARTH.org or at an ISLAND event.